Received your Physical Postal Mail at a real address . Check your postal mail online. Decide which items you want to request forwarding. Decide what mail you want to have open and scan. You can request everything to be done online by scan or by forwarding. All this can be done at the convenience of your fingertips. Shop online for American fashions and electronics. Get a greater choice at lower prices in the U.S. with your physical address in Los Angeles, California U.S.A. Avoid high shipping. Get the very best deal. Get a real street address in Los Angeles California. Rent a private mailbox. Get your own suite or unit number. We process and scan your letters and deliveries. Then, we post them securely online for you to request open, scan and forwarding. You can also come to our location to pick up your mail. You can request forwarding to anywhere in the world. Review your mail on your computer. You can choose what we do with your mail. Our service is more economical than UPS, FedEx or the USPS. You can see what is inside your letters online. We securely open and scan your letter online so you can see what is inside. It is very easy! You can do everything by using your computer or cell phone. Then, you can have your letter securely shredded or recycled. Start using our our service right away. Here is what you get. First, you get a real street address. Our mailbox rental is better than a box at the post office. We offer you the best private mailbox rental service. Don't wait! Rent a box from us! We offer you mail scan and forwarding for Los Angeles California. A real street address is best for your business. A real street address portrays a better and more professional image for your business. 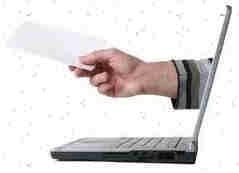 A mail scan and forwarding service is great for your business out of your home. Our service is also great for your online business. Our service allows you privacy because you are not using your home address. Use our digital mailbox rental for your business. We can also receive packages for you. All your packages and letters are safe with us. You will be notified as soon as items arrive so you can quickly view them. We will post your letters and packages online the moment we receive them. You can have access to your mail in minutes! You can register for our service in minutes online. Start today! - Start your using our service right away. Your private information is always secure when you subscribe with us. Call us anytime to inquire on your letters or packages received. There are great advantages of acquiring our services for a home-based business. Our location is located at a commercial center and instead of having parcels and letters sent to your home, it can be sent to our location. At our mailbox rental location, the letters or packages received are processed, scanned and posted online and the recipient then decides if they want to open, scan the contents or discard or request forwarding to somewhere else. You always have to the option to pick up your letters or packages. First, you, the business owner wants to use a mailbox rental service for security reasons. Being able to provide a real business location instead of a residence provides much greater security and privacy for a subscriber. Secondly, use a mailbox rental with scan and forwarding for convenience. Receiving parcel delivery is much easier with our service. The staff at our mailbox rental location is available to receive parcel delivery during business hours, which the subscriber can then request actions to have the items open-scan or request forwarding. Thirdly, use a U.S. real commercial business for credibility. Our commercial location gives the appearance of an office because of the use a street address and a box number that is similar in appearance to a suite number or apartment number. A real business address gives your business professional presentation. You may want to consider our mailbox rental location while you move out of your old address. Fortunately for business owners, our mail scan and forwarding is extremely affordable and easily available. Not only can you get your own unique number to separate your home business from your personal, but our digital mailbox rental service will ensure that your incoming packages and correspondence remain secure. Subscribing to our digital and digital address service is as easy as visiting our online website. We have an address waiting just for you. Our service offers you a commercial street location in Los Angeles, California. Our scan and mail forwarding prices are very affordable and you will be glad you have given us a try. With your own unique location in a commercial business area, you don�t have to worry about sorting your own mail or providing your home address to strangers. With our physical address service, you can use a number such as Suite 101 or a letter such as Suite B or a combination of both such as Suite B101. You can choose! Your own office suite number will portray a more realistic office building image. Not only will you have your own private real physical address with suite number, but you�ll also have the opportunity to access your digital mailbox rental account online when it�s convenient for you from anywhere! Access your physical mailbox service anytime! 24-hours a day. Our digital mailbox rental service is convenient and reasonably-priced and gives your business a more professional image. Unlike a box at the post office, our digital mailbox and physical address service allows you to have your very own street address in Los Angeles, California. When your clients send mail to our digital mailbox and physical address, they know you run a legitimate business with a real California street address in Los Angeles. Once you find out how safe our digital mailbox service is, you�ll definitely want to get a real physical address for your own business. Simply click on fees above to find out about pricing and get going with the different pricing plans. A digital mailbox rental and real physical mailbox service is a common trend among new and existing businesses. Our subscribers are rising since our digital mailbox rental service offers a cost effective and efficient solution for the company's postal and communication needs. 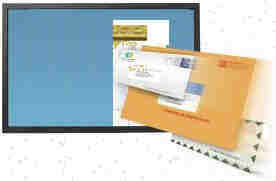 The rental of a digital mailbox assures that all your incoming mail and packages will be received by someone every day. Our private mailbox rental service is an entirely different place and hence keeps you from disclosing your home address to strangers. 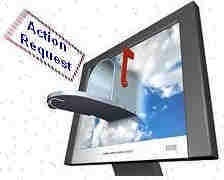 Our private mailbox rental service is different from post office mailbox and does not have a P.O Box address. 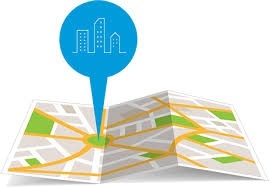 We offer a real actual physical address in a business location. Couriers like FedEx, UPS, DHL and Freight mail all require a physical address to deliver mail and therefore our physical mailbox rental service with mail scan and mail forwarding is a necessity. Use our services to keep all incoming mail and packages safe until you request actions such as open and scan, mail forwarding pickup or shred. An alternate address through our digital mailbox with mail scan and mail forwarding makes your company look big in the client's eyes. This, combined with a real physical address in Los Angeles, California, creates the best professional image. Our service allows you to access your digital mailbox while traveling. If the company temporarily relocates to a different location, your physical address can remain the same enabling you to keep receiving important mail and packages. You can have access to your digital mailbox wherever the company goes. Our mailbox rental is a great opportunity for your company to expand. Our digital and private mailbox service with mail scan and mail forwarding is like having an extra support staff in your shipping and receiving department.